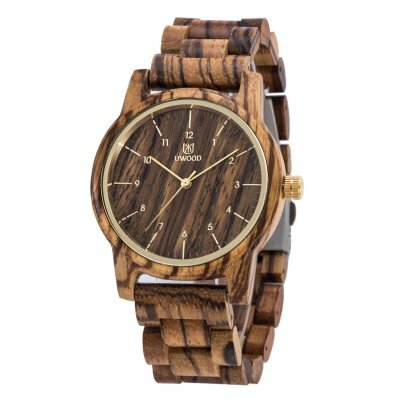 Successfully Added Mens Classic Casual Natural Wood Watch Quartz Wooden Band Gift Giving Wrist Watch Zebrawood to your Shopping Cart. Lightweight, adopt wood from nature, reflect the primitive ecology and consummate craft, and perfect combination of classic and fashion. Imported Japan 2035 movement, guarantees precise and punctual timing. Original Japan battery, the life of battery can be up to 36 months, no need to change battery frequently. Wooden watch is a great gift choice to your loved ones for Christmas, birthday, anniversary, Father's Day, graduation or Valentine's Day.